The Embassy of Japan in Berlin wishes to remind those who are interested in Japanese comics and culture of the International Competition for Manga Artists. The 10th time arranged competition is led by Japanese Foreign Ministry and collaborated with Japanese Embassies all around the world. People of all nationalities are welcomed to send their comics to their local embassies from April 1st to June 17th 2016. The winners will be announced after ten days of the last submission day. The competition was established in order to use the Japan’s most famous popular culture for public diplomacy. Other aim was so promoting the manga cartoon and manga artists globally and give more recognition to their work and art. The Committee includes the Minister for Foreign Affairs, the President of the Japan Foundation, and the members of the special committee for pop culture of the Council on the Movement of People Across Borders. 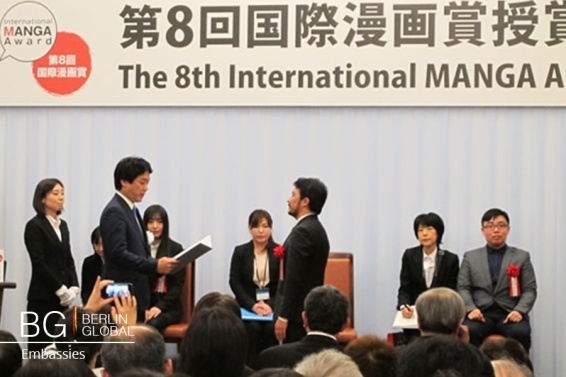 The Award follows Foreign Minister Taro Aso’s speech: "A New Look at Cultural Diplomacy: A Call to Japan's Cultural Practitioners" given on April 28, 2006 and the policy of cultural diplomacy. The annually held competition was first launched in May 2007. There will be one Gold winner and three Silver places. The awardees will be invited to Japan for 10 days to receive the prizes and get change to meet Japanese manga artists, pay a visit publishing companies and do tours in local attractions. 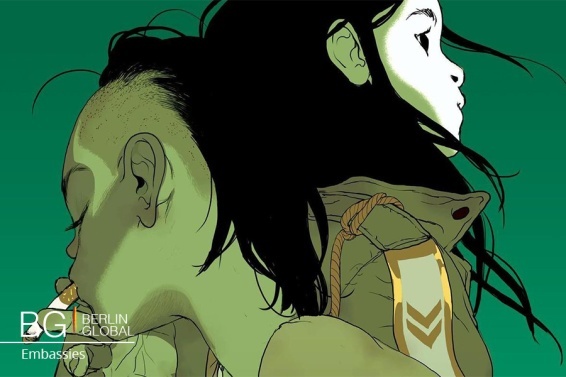 The 9th International Manga Awards was won by Mr. Asaf Hanuka, Mr. Tomer Hanuka & Mr. Boaz Lavie from Israel with their work The Divine. Manga is an old art and entertainment style originated from Japan. Nowadays, manga industry is one of the biggest in Japan and globally it has interested readers and artists to create their own stories in the “manga style.” More information of the competition can be found from the link below.